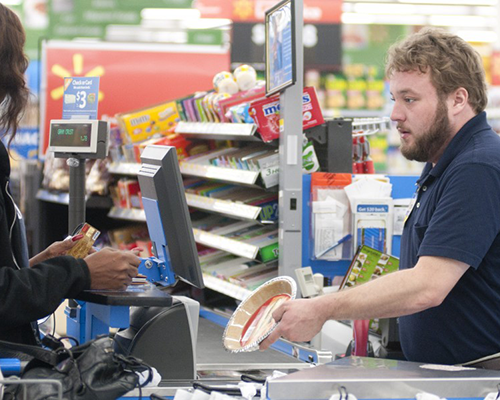 Depend on 43 years of experience to help you manage your inventory. 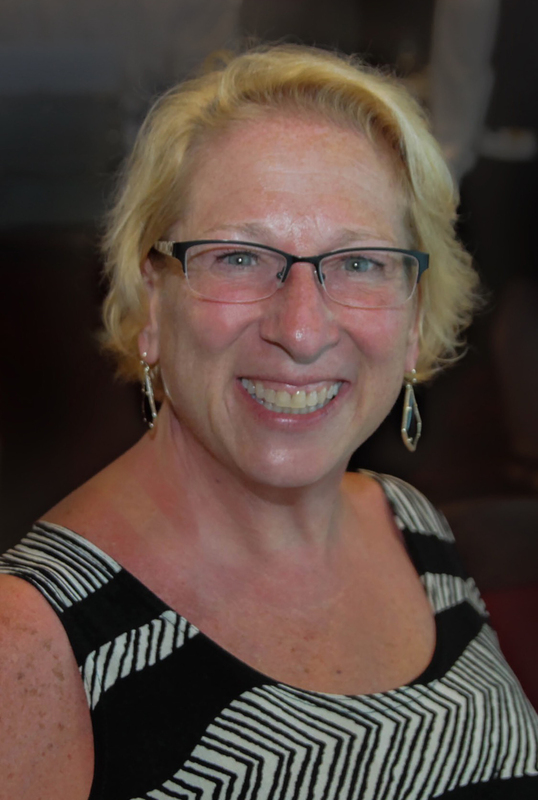 Welcome to The Barcode Lady! 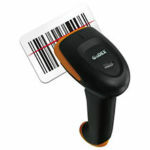 We pride ourselves on being the only company you’ll need for all your barcode, price marking and retail supplies. 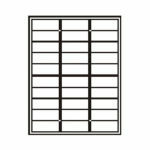 We offer a full selection of custom labels and promotional materials as well. With more than 40 years in the business, our team of experts is here to make sure you get exactly the products that will assist your business, and we bring a level of personalized care to the table that you won’t find anywhere else. Our prices are competitive and we have fast turnaround times to get you the products you need when you need them. Give us a call to find out more or get a custom quote. 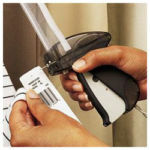 The Barcode Lady and her staff are fully trained and up-to-date on the latest industry standards, and will make sure that your company is kept at the forefront of technological advances. 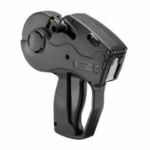 If a product comes out that will make your life easier, can save you time or money, operates faster, or is more durable than what you’re using, we’ll let you know about it. Our goal is to help your business grow and to increase your bottom line, and we go out of our way to make sure you know you are our priority. 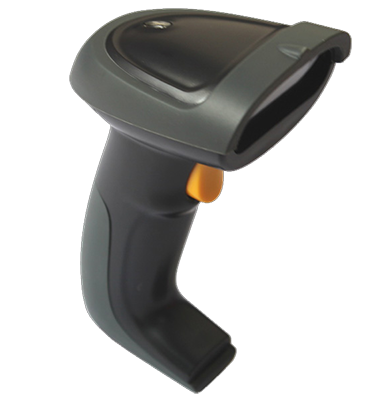 From printers to pre-printed labels, and scanners to ribbons, we stock a full array of barcode supplies to make sure your inventory, POS or manufacturing can carry on without a hitch. 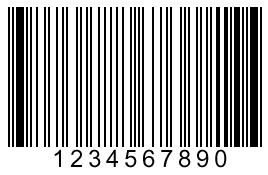 Call to get a price quote on the barcoding equipment or supplies you need or visit our "Get Help Now" page to receive a free online consultation. 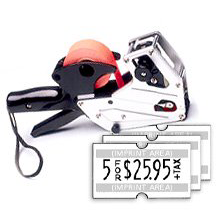 We carry a full line of price marking supplies, including price guns (one, two and three lines of characters, both numeric and alpha bands), price stickers and custom labels. 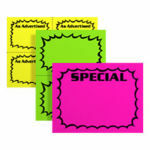 We also have pre-printed stock labels, like “Sale,” “Lot #,” and more. How can we help you label your stock? Give us a call and let us show you how to save time and money. 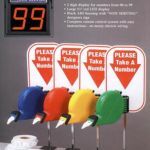 Our retail selection includes: shelf numbers, shelf molding, shelf strips, receipt paper rolls and ribbons, ink toner and cartridges, printer ribbons, merchandising signs, banners, posters and much more. We also can create all types of promotional products for giveaways and incentives. 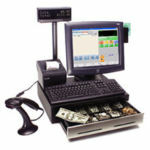 Call us to get a quote on the retail supplies you need. We can create specialty labels for inventory, packaging, or just about any application you might require. With a variety of materials available including: vinyl, paper, weatherproof, static cling, decals, void or tamper proof, embossed or foil, we can truly create anything you’re looking for. 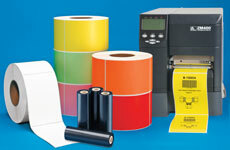 Any size, any color label and any color ink! Give us a call to get your custom labels started, or find out how quickly we can get it done for you.